I do not often create black & white versions of my pictures. 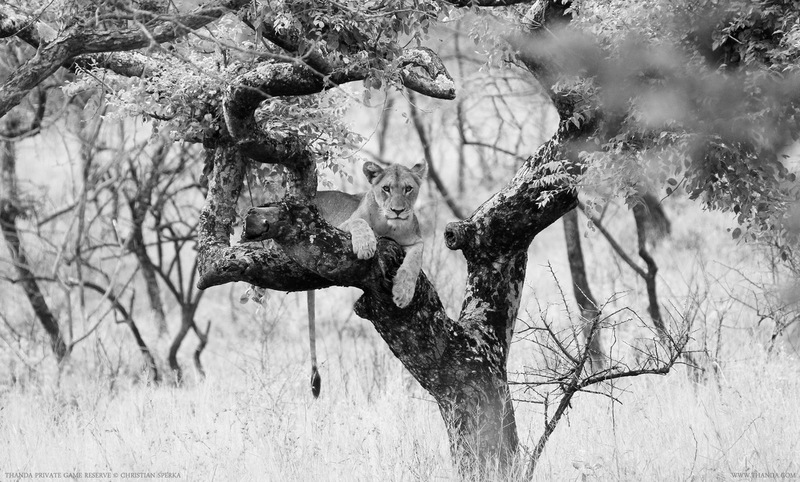 But when I came across this image of a young Lioness lounging in a tree I thought this would look good in b&w. I like it! The young lady surprised many Thanda guests when she presented herself just outside the Thanda Tented Camp during check-out time. A great good-bye for our guests.